Why would I need self storage in Prince George, VA? There are a variety of reasons why you might need self-storage in Prince George, VA.
How much is a storage unit in Prince George, VA? The cheapest storage unit in Prince George, VA is $57.00 per month. What size storage units do you have available in Prince George, VA? In Prince George, VA we have sizes that range from 5'x10' to 10'x40' to suit your storage needs. How much is it for a 5'x10' storage unit in Prince George, VA? The cheapest 5'x10' storage unit in Prince George, VA is $57.00 per month. Prince George is a very small suburb in the area of Richmond, Virginia, located only about half an hour south of the capital city. It's the county seat of Prince George County, even though just a few thousand people call the area home. The town and county were both named after Prince George of Denmark and officially established in 1703. 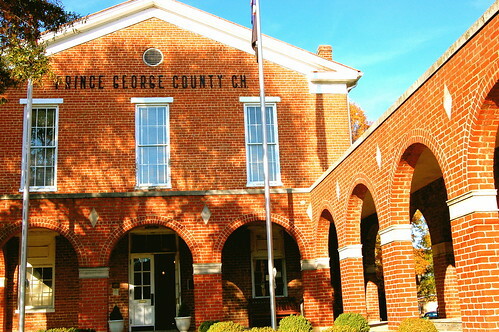 Prince George is best known for its important role during the Civil War. The first shot at Fort Sumter on April 12, 1861, was fired by Edmund Ruffin, a son of Prince George. Many of the earthworks for the entrenchments and artillery batteries throughout the Civil War were located in this area. In addition, the county played host to the Battle of the Crater in July 1864. Prince George is an ideal rural option for those who work in Richmond but want to live outside of the larger city. For such a small town, Prince George is quite ethnically diverse, which has served to enhance the local culture. The community also attracts people with its relatively low cost of living compared to that of many other suburbs in the area. Although you're far enough away from the city to enjoy a quiet, rural lifestyle, you're still close enough to easily access amenities, entertainment and jobs. Prince George County Public Schools operates the public schools in the area. Private school options are limited in Prince George due to its small size, but there are a few campuses in neighboring communities. Utilities: Major utilities providers in the area include the Prince George Electric Co-op and the Prince George County utilities department. Garbage and Recycling: Depending on where in Prince George you live, you may receive curbside collection services. Housing options in Prince George range, from older homes to newer buildings, whether you're looking for a place to buy or to rent. On average, homes are more affordable than those in many of Prince George's neighboring communities. Our lowest priced units in Prince George, VA average $57.00 per month. 38 people have reserved units in Prince George, VA in the past 30 days. There is 1 location within Prince George, VA's city limits.